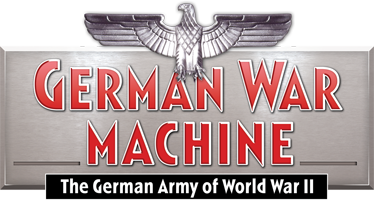 German War Machine is dedicated to the history and research of the German Army during World War II. We are in no way affiliated with Nazism, neo-Nazism, Holocaust denial or any other extremist views. We do not support, promote, or sympathise in any way those who would condone or embrace individuals, groups and/or organizations that are intolerant racist, or violent. Every effort is made to ensure that all downloadable content is free from viruses. German War Machine will not be held liable for any loss, damage, or inconvenience caused as a result of any inaccuracy or error within these systems such as mailing list sign up.